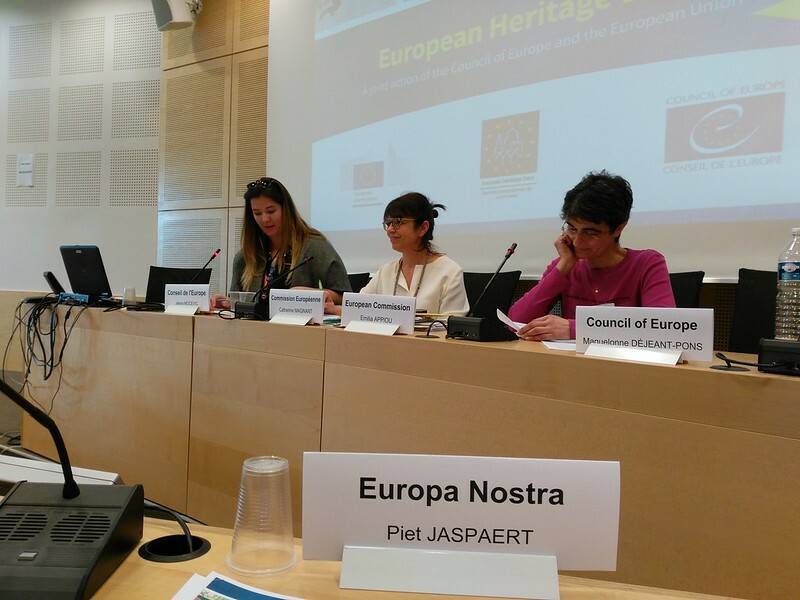 Europa Nostra took part in the European Heritage Days Assembly 2017, in Strasbourg on 17-19 October. The main objective was to collectively prepare the European Year of Cultural Heritage (EYCH) 2018. This annual assembly brought together around 50 national coordinators of the European Heritage Days (EHDs) as well as representatives of the Council of Europe and the European Commission. In view of the upcoming European Year of Cultural Heritage, the overall theme of the 2018 edition of the EHDs will be the European Year. Europa Nostra is working closely with the Council of Europe on developing synergies between the European Heritage Days and the laureates of the EU Prize for Cultural Heritage / Europa Nostra Awards for the EYCH 2018. Europa Nostra’s Vice-President Piet​ ​Jaspaert has been one of the main driving forces behind this collaboration and presented the Awards scheme on several occasions to national coordinators of the EHDs to encourage them to reach out to these exemplary European heritage achievements. An active integration of the Award winners within the programme of the EHDs 2018 has been enthusiastically agreed upon by the Assembly. In the spirit of cooperation, Europa Nostra also suggested to the European Commission, during the second meeting of the Stakeholder Committee for the European Year of Cultural Heritage, to invite the programme manager of the European Heritage Days for the next stakeholder meeting (in December 2017) to allow for more synergies and exchange between civil society organisations and the EHDs. With the 2017 edition of the European Heritage Days still ongoing in some countries under the theme of ‘Heritage and Nature’, the European Heritage Days Assembly 2017 also provided an occasion to share the most inspiring stories of the EHDs, which highlighted special initiatives from local communities – some of them were success stories chosen from among the laureates of the EU Prize for Cultural Heritage / Europa Nostra Awards. Catherine Magnant from the Directorate-General Education and Culture of the European Commission presented the current preparation plans for the EYCH 2018, including the labelling of initiatives, and highlighted the key events to take place during the Year, such as the European Cultural Heritage Summit 2018 in Berlin. Together with Catherine Magnant and Emilia Appiou from the European Commission and about 50 national EHD coordinators Piet Jaspaert contributed to the preparation of two inspiring workshops for the European Heritage Days 2018. One focused on the brochure ‘101 Event Ideas for 2018’, while the other one focused on how the link from local to European could be made. National coordinators concluded that the EHDs are a vital tool for reaching out to citizens all over Europe during the European Year and raising awareness of this momentous initiative while the EYCH also provides a unique occasion to enhance the European dimension of the heritage days. They will discuss concrete actions and priorities in more details in the coming months.